Joshua Hempstead was a well-respected farmer and tradesman in New London, Connecticut. As his remarkable diary (171158) reveals, he also owned a slave, Adam Jackson, for more than 30 years. In this engrossing narrative of family life and the slave experience in the colonial North, Allegra di Bonaventura expands on her George Washington Egleston Prizewinning dissertation to describe the complexity of this master/slave relationship, tracing the intertwining stories of two families until the eve of the Revolution. 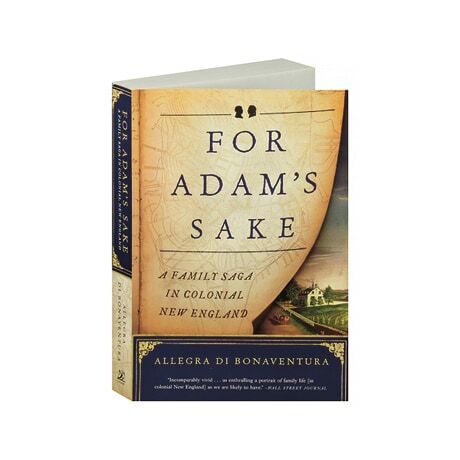 Slavery is often left out of our collective memory of New England's history, yet it made a profound impact on individual families, and di Bonaventura reveals how, in every part of the region and every social level, the lines between slavery and freedom were blurred as these families struggled to survive.